DAGUPAN CITY – Residents of this coastal city in Pangasinan are doomed with the move of the mayor and her allies in the city council to transfer the city hall to an area surrounded by fishponds mostly owned by the mayor’s family and siblings. 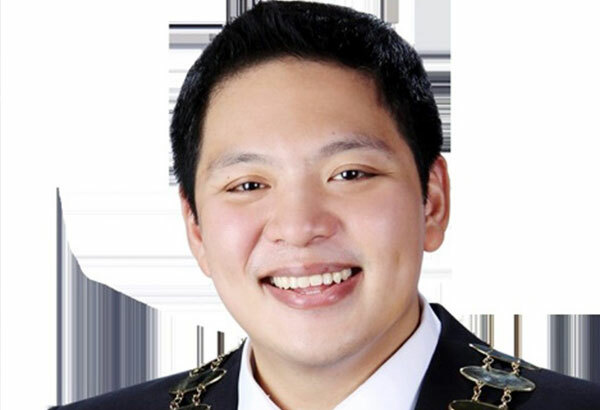 Vice Mayor Brian Lim and others opposed to the move and warned of heavy flooding in most parts of the city with the conversion of the fishponds into commercial use following the “anomalous” approval of the new land use plan and zoning ordinances of the city. Lim cited the worsening flooding problem in barangays Pantal, Poblacion Oeste, Barangay I, Barangay II and III, Barangay IV and Herrero-Perez, all covering the city’s business center. These areas, he pointed, get flooded even during sunny days due to high tide. The vice mayor also cited the worsening flood problem in the southern barangays of Malued, Pogo Chico, Pogo Grande, Lasip Chico, Lasip Grande, Bacayao Sur and Bacayao Norte following the backfilling of hectares upon hectares of productive fishponds owned mostly by the family of Mayor Belen Fernandez. “We could not imagine the devastation and the harm that the planned transfer of the city hall and the conversion of the adjoining fishponds into commercial purposes would inflict on the lives of our people, including the business sector,” Lim said, citing the importance of the fishponds as natural catch-basins for rainwater and the city’s prime industry, which is bangus (milkfish) production. He said the conversion of fish ponds into commercial areas stops natural flow of water to rivers. “Our rivers are also silted, even if we have been dredging it,” he said. Lim said the flooding was also aggravated by the construction of elevated roads that impede flow of water to river systems. Seven rivers crisscross the city. “Who would like to invest in a city constantly submerged in floodwaters?” he asked. To drive home his point, Vice Mayor Lim cited a recent study conducted by the Wildlife Fund (WWF) and the Bank of Philippine Islands (BPI) showed that Dagupan City is one of the cities in the country that is most vulnerable to the impact of global warming or climate change. The study presented by Jose Ma. Lorenzo Tan, Vice- chairman of WWF-Philippines National Advisory Council, said Dagupan City has 6.91 percent vulnerability, a level that is considered high considering its geographical location serving as catch basin to Agno River and its grounds are below sea level. The main threat to the city is, therefore, water or rainfall, he said. Baguio City, Dagupan City and Tacloban City recorded the highest rainfalls among the other 13 cities involved in the study. George Chua Cham, who served as president of the Pangasinan Chamber of Commerce and Industry Inc. confirmed the effect of flooding in the city to the business sector particularly to the bangus (milkfish) industry. He said the bangus production dropped by 40 percent from 2002 to 2010 as the producers moved out of the city due to flooding. Dagupan City used to be labelled as “Bangus Capital of the World” after then Mayor Benjamin Lim, father of the incumbent vice mayor, initiated the annual Bangus Festival celebration to promote Dagupan bangus as the tastiest bangus ever. “The consequent conversion of fishponds into commercial properties would spell doom for the city’s overall bangus fishpond industry, ironically setting back the city’s campaign to strengthen its stature as the bangus capital of the world,” the younger Lim lamented. Contrary to the claim of Mayor Belen Fernandez that the transfer of the city hall to a lot owned by her brother redounds to the benefit of city residents, Vice Mayor Lim said Dagupenos stand to lose and suffer the more as the mayor plans to borrow not less than P500 million to construct the four-storey building. Lim warned that Fernandez will bury the city in debt and put heavy tax burden on the taxpayers. To provide for the payment of the proposed bank loan, Lim said the mayor is seeking approval by the Sangguniang Panlungsod of two draft ordinances that will have grave impact on the city residents, particularly businessmen and real property owners. Draft Ordinance No, 0-593 seeks to amend Section 6 of Ordinance No. 1794-2003, otherwise known as Schedule of Fair Market Value of real properties in the city of Dagupan for the year 2004 and thereafter, which in effect will raise real property taxes in the city. On the other hand, Draft Ordinance No. 0-594 seeks to raise business taxes and other fees by amending the city’s revenue code. Both draft ordinances were authored by Councilors Jeslito Seen, brother-in-law of the mayor, and Jose Netu Tamayo, the mayor’s most ardent supporter in the city council and author of a draft ordinance seeking the transfer of the city hall. Lim pointed out that there are more pressing problems that need to be addressed than the need to transfer the city hall. These include fixing the traffic, mitigating the worsening flooding problem, mounting garbage problem following the closure of the city’s open dumpsite by the DENR, sustaining the anti-drug campaign, river pollution, basic health care delivery, child delinquency, and other concerns. He said city resident are getting restless due to the perennial flooding and traffic problems, dirty streets, clogged drainage canals, lack of job opportunities, and resurgence of illegal drugs. “Relocating the city hall does not solve any of these,” he stressed. Vice Mayor, You lay out your concerns but I didn’t see or read on how you are to solve the problems you’re talking about and what about you, what have you done to improve or help our people and community? Just asking. It is now too late. It was the most stupid to allow the JDV Highway Extension as an on ground roadway, it is supposed to be a SKYWAY. Whoever planned it are the most STUPID PLANNERS, and the ENVIRONMENTALIST who approved and issued the ENVIRONMENTAL CLEARANCE CERTIFICATE are the most STUPID ENVIRONMENTALIST. The road itself is like a very long dam, and those few MICKEY MOUSE CULVERTS is not adequate. Had the roadway been and skyway, the POST SECONDARY IMPACT OF MASSIVE BACKFILLING could have been avoided because they will not have direct access to the highway. 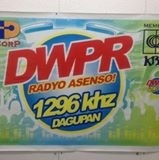 The problem can not be solved by DAGUPAN CITY alone, it is a regional problem. The flood control project, not only there in DAGUPAN but all over the Philippines must be the top priority of the so-called BUILD BUILD BUILD PROGRAM of the administration. DAGUPAN needs DIKES, PUMP STATIONS, and DREDGING, PERIOD. It is the cheaper than the STUPID RAISING of the roads at a great expense and inconvenience to the DAGUPENOS.